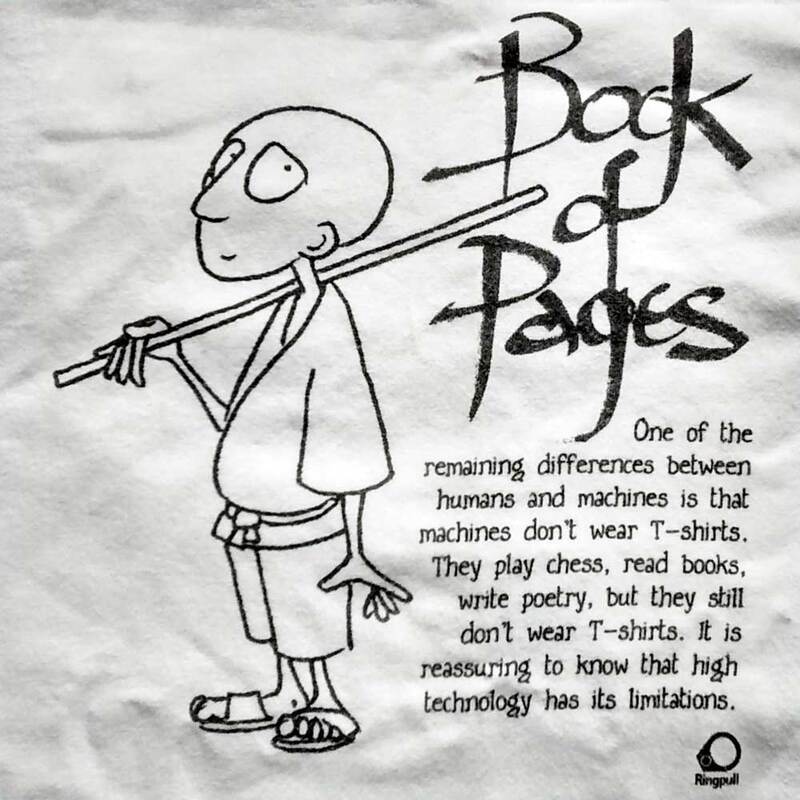 After writing and drawing the first draft of Book of Pages, it took about a decade to secure a publisher. 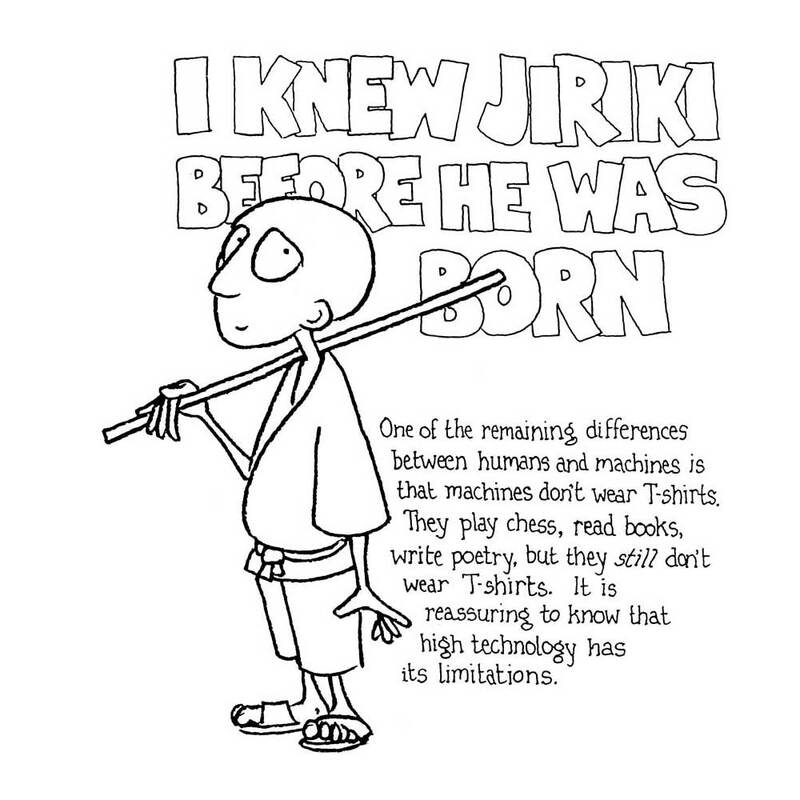 Before that happened — and it was not a straightforward journey — I had some “Beholder Involvee” T-shirts screen-printed featuring the Zen-like phrase “I knew Jiriki before he was born” for my friends, who had supported what I had been up to. I hand-coloured the lettering on each of the shirts with textile paints. Later (the second image here) the publisher re-used the image and text (using lazier transfer technmology instead of screenprinting, so it was a budget version, and was never coloured by hand). Another more subtle difference between the two shirts is that the first one is genuinely hand-lettered, whereas by the time the second one was done I’d made a TrueType font of my “Beholder print” handwriting in which the book could be set, which (I don’t know why) was used here instead.